There are many great books about finding God. But there are far fewer books, great or otherwise, about finding and then losing God. 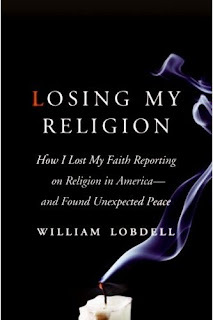 So “Losing My Religion,” by William Lobdell, a former religion writer for The Los Angeles Times, feels po werfully fresh. It is the tale of being born again in his adulthood, then almost 20 years later deciding that Christianity is untrue. Today Lobdell prefers the God of Jefferson or Einstein, “a deity that can be seen in the miracles of nature.” While Lobdell never entirely rejects belief in the supernatural, his humane, even-tempered book does more to advance the cause of irreligion than the bilious atheist tracts by Christopher Hitchens and others that have become so common. And Lobdell’s self-deprecating memoir is far more fun to read. To Lobdell, it began to seem not just that religious institutions were no better than secular ones, but that sometimes they were much worse. After all, school systems and Little Leagues don’t defend molesters as tenaciously as the Catholic Church did, and parents aren’t as reluctant to believe the worst about teachers and coaches. It was precisely the cultivation of religious awe — with its traditions, rituals and ceremonies — that made priests seem holy, and thus allowed so much evil to go unreported or disbelieved. At times, Lobdell’s homely, down-to-earth prose and intellectual modesty obscure the import of what he’s saying. His explication of religion’s capacity for evil is far subtler than the simplistic atheist line that “religions cause wars,” but he doesn’t seem to know it. “I do miss my faith,” he writes, “as I’d miss any longtime love.” But “I like my life on this unexplored shore. It’s new, exciting and full of possibilities.” Lobdell is quite a rarity: an unembittered divorcé, grateful for the marriage and just as grateful for what lies ahead. I doubt I could get this book in Pakistan. You may be able to find it. I was surprised to see several copies of "The God Delusion" at Saeed Books in Islamabad last year. You may have to ask one of the bookstores to get "losing my religion" for you. As long as these books are in english, there is no problem. I checked with Liberty store and hopefully would get that book soon. Thanks for sharing all great stuff. Salman, would you be unable to get it in Pakistan under a blasphemy law or similar? Do those apply only to texts in Urdu? 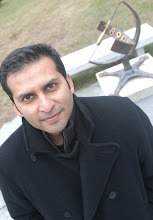 "Salman, would you be unable to get it in Pakistan under a blasphemy law or similar? Do those apply only to texts in Urdu?" Well - its more because only a small segment of the population read english books - and this group is overall lot more educated and relatively liberal (the educated elites). For the same reason, english language newspapers like Dawn can get away with a lot more than Urdu newspapers. Also note that the literacy rate in Pakistan (meaning one can sign one's name) is (charitably) around 50% - so there is not that much population out there that read and object to a book in English (unless it is politically expedient - as was the case with the whole Rushdie Affair. But even then, the riots only started after its excerpts showed up in Urdu newspapers). "It is impossible for us, with our limited means, to attempt to educate the body of the people. We must at present do our best to form a class who may be interpreters between us and the millions whom we govern; a class of persons, Indian in blood and colour, but English in taste, in opinions, in morals, and in intellect. To that class we may leave it to refine the vernacular dialects of the country, to enrich those dialects with terms of science borrowed from the Western nomenclature, and to render them by degrees fit vehicles for conveying knowledge to the great mass of the population." Charming, isn't it? Read the full document here. The British are gone - but the system is still there - with all the inequalities. Yup - things are all very messy. By the way, I'm also a beneficiary of the system, as I went to an english-medium school.